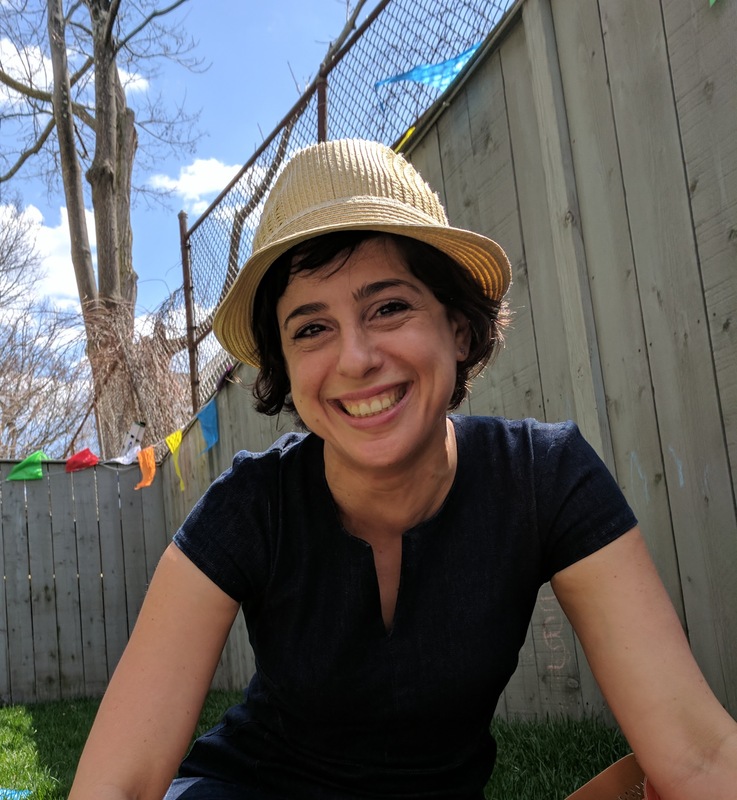 Teresa Chahine is the Social Entrepreneurship Program Leader at the Center for Health and the Global Environment at Harvard University. Most recently, she helped shaped a social entrepreneurship ecosystem in Beirut, Lebanon. Teresa shared the ups and downs of supporting a refugees’ foodtruck and why social entrepreneurship should not just be for business students. What spurred your two passions: sustainable development and social entrepreneurship? My career started out in international development, which is what many people work on in Lebanon. … The Millennium Development Goals spurred our work… Now they are called the Sustainable Development Goals. My first job was with the United Nations Population Fund (UNFPA). I was based at the Ministry of Social Affairs, and my job was to work on community-based reproductive and sexual health. When I decided to go back to school to do my doctorate in public health, I realized that a lot of the way we do development, the old-school aid mentality, doesn’t work. We spend decades and millions and can’t figure out if we made an impact. I started thinking about alternative models; I bought The End of Poverty by Jeffrey Sachs and started reading. They said, “Yes, you’re right. Let’s go ahead and include it, but you actually have to do the work.” I would fly back and forth, once or twice a year, to teach the course, then decided to create a textbook for the course so that more people could introduce more social entrepreneurship courses. Harvard has an entire entrepreneurship program, right? Harvard School of Public Health didn’t have anything. My course was the first social entrepreneurship course. With a co-instructor, we started a second one, on innovation and entrepreneurship. Someone else started a course that was similar to mine… Now there is momentum. The problem is that … social entrepreneurship has been taught at business schools, where people want to apply their business skills to solving social problems. Public Health students are people who have decided to dedicate their lives to solving social problems. The problem is that they’ve become experts in the problem, not in making solutions. If we work with … experts who understand their causes … what’s been tried, and what hasn’t, we help them have the tools and the framework and skillset needed to develop solutions. Then those solutions will be much more likely to stick. Give me an example of a social enterprise in the health or education sectors in Lebanon that you have come across. They realized what makes the most sense is to work on teacher training… The gap between the privileged and underprivileged students would widen whenever they went home. Underprivileged children might get caught up during the year, but then in the summer, they would fall back. We decided to work with them on consolidating their teacher-training curriculum and packaging it in a way that it could actually become commercialized. They could offer it for free in public schools. Then they could offer it for a fee in private schools or iNGOs [international NGOs]. They’ve since become service providers to the government, which pays them with international donor money. With all the research and work you have done in the social impact space, what have you learned that has been a surprise to you? … I think that when you are growing up in an academic environment, you become really structured. You think you’re supposed to plan something, work really hard at it, and then you can make it happen. When you work in a grassroots and entrepreneurial setting, it very rarely turns out to be what you thought it was going to be. You’ll still need a vision, and it has to be evidence-driven. Every step you take, there’s data. But most of the time, the data is null data: This isn’t working; try something else. It’s never a straightforward path. I learned to really embrace that messiness. I used to be a control freak because I was such a geek, you know? [Laughs.] I study, and everything is perfect. I get straight A’s. Then when you go out in the real world, embrace chaos and embrace failure. I have to let go of wanting to control things. … There’s no perfect. It’s all going to be messy and ugly. 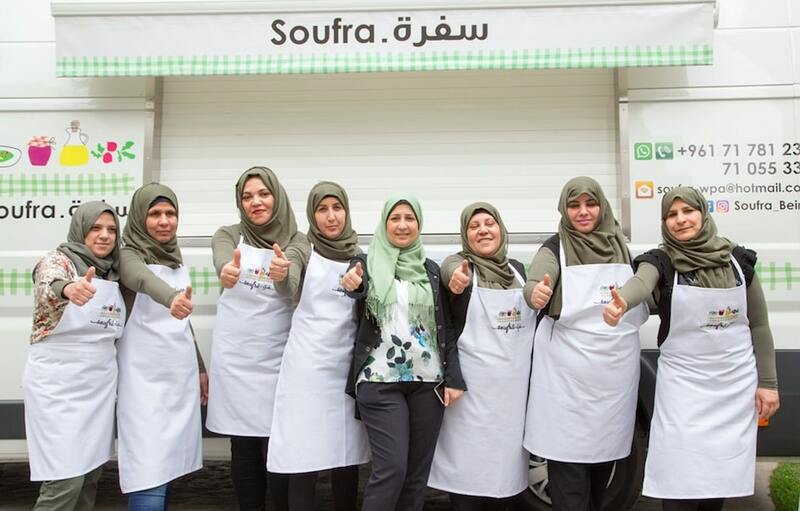 Foodtruck in Lebanon: women refugees in business. Photo by Sarah Hunter. Could you give me an example of a project that applies to that learning? They did some social enterprise activities such as microloans. They wanted to create a production unit where people could come, be useful, and make money. They did a survey in their community and realized that the women would be interested in working in the food industry. The low-cost food industry is one of the few industries that works in Lebanon. No matter how economically and politically unstable the country is, people still need to eat. We provided an initial seed fund and helped them with technical support, such as how to have food safety and hygiene, and how to dig up all these traditional recipes from their Palestinian heritage. They got up and running, and they weren’t getting enough orders. We decided that in order for them to generate enough revenue to make it worth it for the organization, and to support their charitable activities, they would have to double or triple their business. One of our team members suggested doing a food truck. The food truck is a very Western concept. Mariam and Teresa during the foodtruck project. Photo by Thomas Morgan. It was really stressful because we weren’t even sure we wanted to do a food truck. It’s an idea that someone from the outside suggested. The women were interested in testing it, but it was really hard with all this outside attention on them. They didn’t even know if they could make it happen. We did this huge Kickstarter campaign, and had 800 people from around the world pitch in for this food truck. It was incredible. These women were stunned that people in all these different countries were helping them. We had our mission of socioeconomic empowerment of women in low resource settings. We made a logframe, a budget, and how it would impact women and their families… But then the reality of it was so different and so messy. The person who held it all together was the social entrepreneur in the refugee camp, I think because it was something that grew organically out of the women, that it was something that they wanted to do and they stuck with it. What would be your most important advice for a social entrepreneur? You definitely have to work in a data-driven way. You have to test everything out and build on evidence, and build on what others have done before you. As part of doing that, you have to be open to the idea of things going wrong. … Think of the messiness as data. … You test something; the results are your data to keep iterating, and keep trying until it works. What, in general, do you think is needed for social impact? It is the same with social entrepreneurship. I feel everything should be social: hospitals, government agencies, and all businesses. They should all use the tools and frameworks that we use in social enterprises. We always ask our interviewees who’s made an imprint on their professional DNA. I’m sure there’ve been many, but if you had to name one or two people, who would they be? … The second person was Valerie Zartarian. She worked at the U.S. Environmental Protection Agency (EPA). I worked as a student services contractor for the EPA to pay my way through graduate school. It was really influential to have someone who worked in a U.S. Government Agency, which is known for being so bureaucratic, to be so collaborative. She worked with my university advisor on creating a dissertation that Harvard would also approve as a research study. Valerie had a similar trait to Jack of seeing how any situation and any person could serve as a resource, rather than just something that you are stuck with or something that’s there. What steps can people take to start making a social impact? If you work in a bank, stay there; you might have more resources and more power to make a change by staying… I want to get more people who don’t think of themselves as social innovators involved, whether by raising funds or volunteering. An Innovation Advisor for Alfanar and I just launched a new campaign to raise awareness and funding for social entrepreneurs in the Arab region. Social entrepreneurship is the hope for the future of this region. Everyone needs to get involved, not just the usual suspects. 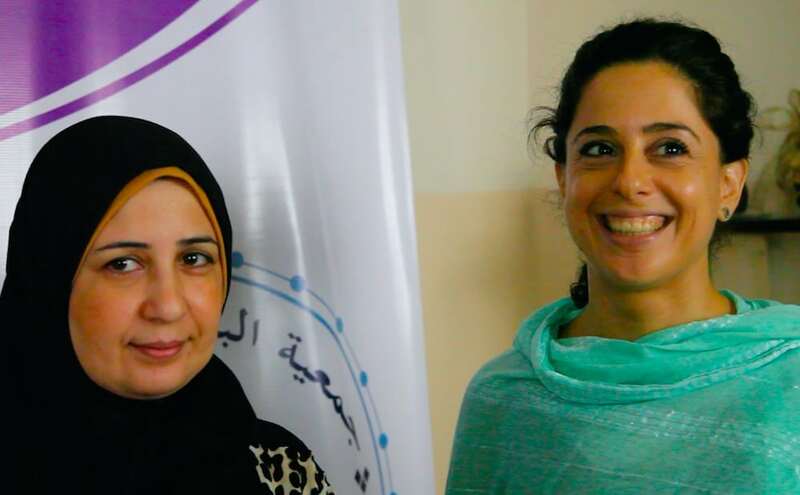 How are women entrepreneurs viewed in the region? We live in a patriarchal society — women all over the world face disadvantages. That’s also the case in the Arab countries. In many families, women aren’t expected to work. If they want to work, they might not have as much training or as many chances of getting a job. The double standards that are happening at a global level have been more pronounced in the Arab region. An example of that is that unemployment among youth is 30 percent in the Arab world, which is double the global average. Among girls and women, it’s closer to 60 percent, which is four times the global average. How do you maneuver in a patriarchal world where women have even less opportunities? It’s a good question… I think you just have to let a lot go. You have to have tough skin. There is a fine line between knowing when not to let something upset you and when to take a stand. I go back to that message from Valerie and Jack: It’s not what title you have; it’s what you do. I think that if you focus on getting results and letting results speak for themselves, then you’ll make more progress. What’s a battle you chose to let go? … People talk to you in a very patriarchal way. Even if it’s not sexist, it’s almost like they talk to you as a daughter. If you were a man, they would talk to you as a colleague. They don’t see me as an equal. They see me as the softer gender. I can’t change this person’s attitude by something I say or do in that meeting or conversation; it’s really going to be the results of my work. If I can get things done, then I think that they will have to respect that. I think that subconsciously it will change their impression of women. I have a friend who recently tweeted this Twitter handle: “Women Also Know Stuff.” [Laughs.] It all goes back to showing what women can do.